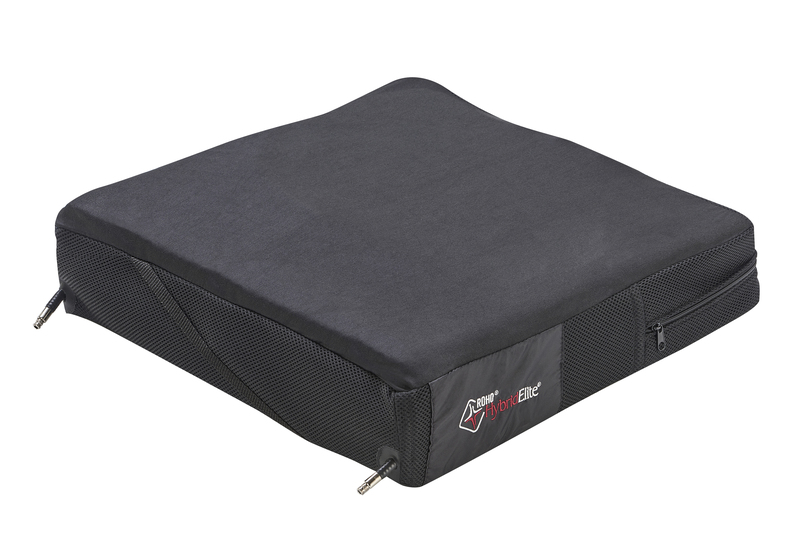 The ROHO Hybrid Elite Wheelchair Cushion from IndeMedical.com combines the superb skin protection and shape matching ability of Roho with the stability of Jay base technology. 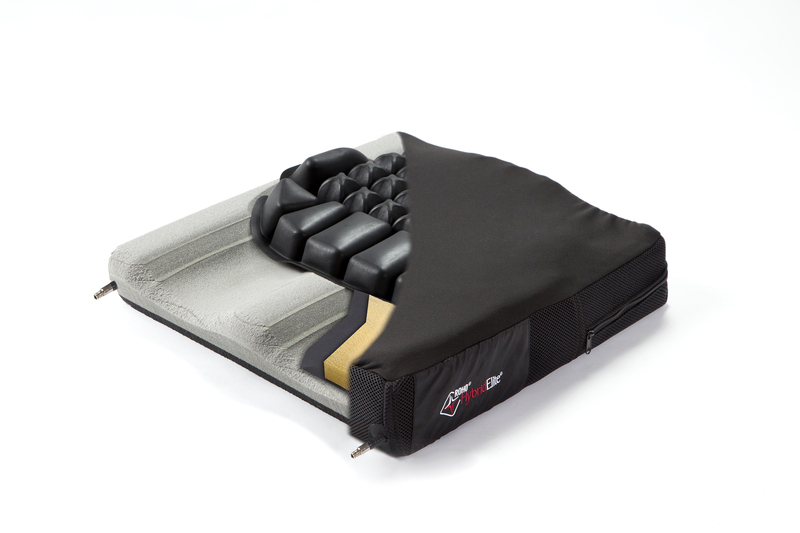 The new cushion design allows for improved pelvic alignment and stability for improved position and function while maintaining optimal immersion and envelopment of both the ischial tuberosities and greater trochanters. The ROHO shape fitting cushion provides critical pressure redistribution around the pelvis area providing you with superior skin protection that ROHO is known for. 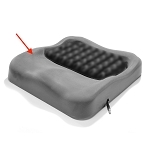 Simply adjust the cushion to fit the client’s shape in order to minimize tissue deformation and maximize blood flow. 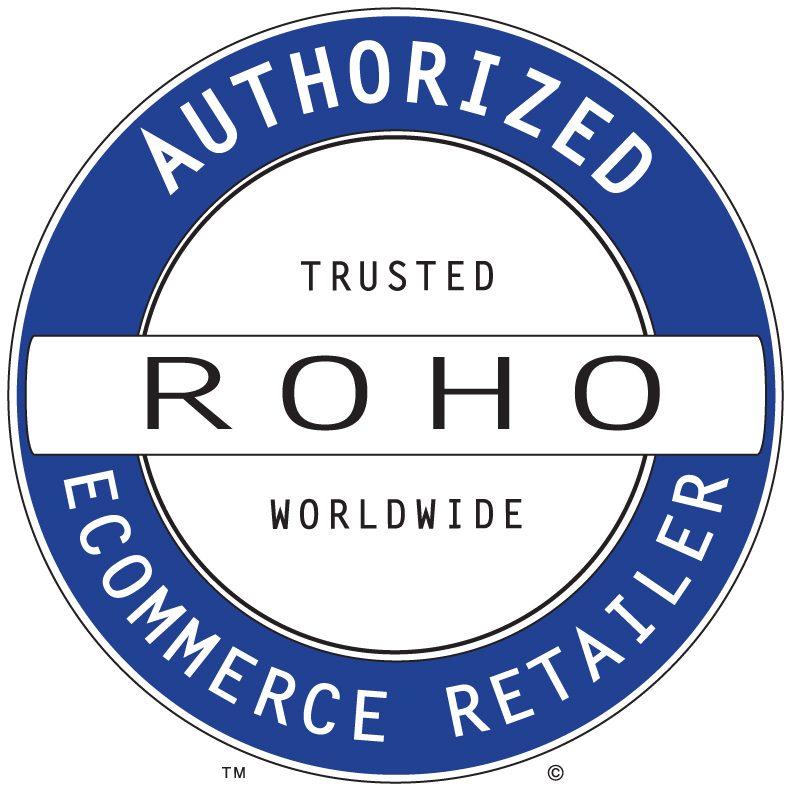 The ROHO Hybrid Elite’s Jay contoured foam base engineered specifically for ROHO, provides improved positioning of the pelvis and lower extremities, enhancing sitting posture. This added stability assists the person in achieving safer transfers in and out of his or her wheelchair. Washable: Air cushion insert is easily cleaned with soap and water. Cover with encased comfort foam is machine washable. Foam base may be wiped with damp cloth. 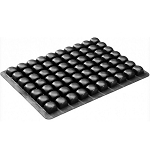 Repairable: Neoprene rubber cushion insert can be patched or repaired to extend use. 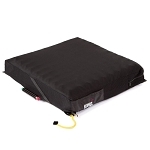 Cushion: ROHO DRY FLOATATION® air-filled, adjustable, cellular design insert (cushion insert) made of neoprene rubber with nickel-plated brass inflation valves + contoured foam base made of fluid-resistant polyethylene closed-cell foam. Sizes: Wide range, to fit chair widths 14” to 24”/35cm to 60cm Click here for more detailed sizing information.